The Walhalla community honors its German heritage with the celebration of Oktoberfest. 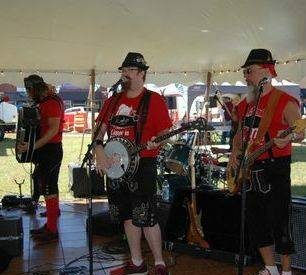 Since 1979, Walhalla, South Carolina has celebrated its German heritage by welcoming residents and visitors alike to the annual Walhalla Oktoberfest for a weekend filled with fun, food and fireworks! Join us on the third Friday, Saturday and Sunday in October at Sertoma Field to enjoy authentic German fare of bratwurst & sauerkraut, funnel cakes, and Apple Strudel along with some more American treats of barbecue, blossoming onions, and boiled peanuts. Dance a polka, waltz or the “Chicken Dance” while listening to The Little German Band. Browse through the numerous vendor booths for arts, crafts, baked goods and other treats and get a jump on your Christmas shopping since there’ll be only eight weeks to go! For the kids there is a carnival that will provide hours of fun, along with a “Kinderhaus” for face-painting and crafts. And for the children of all ages, the fantastic fireworks display on Saturday will be the perfect way to conclude the night. 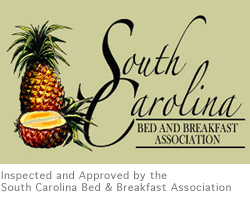 © Copyright Sunrise Farm Bed & Breakfast ~ Website Powered by Twin Rivers Communications.